Produced by Tsuburaya Productions, the creative team behind ULTRAMAN (ウルトラマン　空想特撮シリーズ, Urutoraman: Kuso Tokusatsu Shirizu, 1966-67), ULTRAMAN LEO is the seventh entry in the Ultraman series. The Ultraman series is one of the most prominent tokusatsu superhero genre productions from Japan and has sparked a fandom of the Ultraman mythology across generations. After being brutally marred by evil aliens, Dan Moroboshi (Ultra Seven) takes under his wing a fierce young Ultra-like being from L-77, and christens him “Ultraman Leo,” to continue his mission to defend the Earth. Alien intergalactic slavers called Magma come to Earth in an attempt to find more slaves for their expanding evil empire. In response, the Ultra Warriors send Leo to protect the planet from this new threat. ULTRAMAN LEO’s fighting spirit is showcased across a season of epic monster battles, ultra strength and a dynamic defense of the planet. 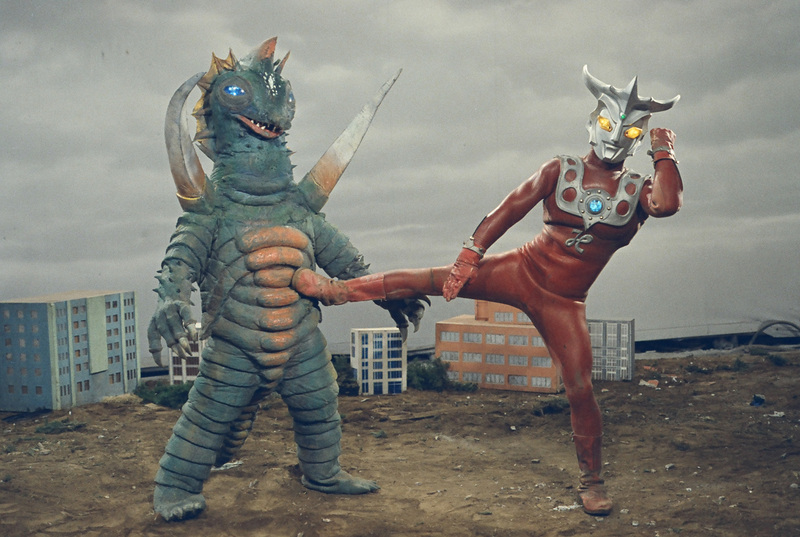 All episodes of ULTRAMAN LEO are also available on VOD at Shout! Factory TV. Video courtesy of Shout! Factory. © Tsuburaya Productions Co., Ltd.
SHOUT! FACTORY TV is a premiere digital entertainment streaming service that brings timeless and contemporary cult favorites to pop culture fans. With a uniquely curated entertainment library, the channel offers an unrivaled blend of cult TV shows, movies, comedy, original specials and more – presenting an exciting entertainment alternative to major streaming services. SHOUT! FACTORY TV’s programming leverages a distinctive library of pop culture-defining entertainment curated from Shout! Factory, Westchester Films, Timeless Media Group, Scream Factory, major studios, independent producers and other sources from around the world. Whether reliving childhood memories or discovering television series, movies and comedy specials for the first time, SHOUT! FACTORY TV provides an immersive, high-quality viewing experience across a wide variety of screens and platforms, online at ShoutFactoryTV.com on smartphone devices, tablets and connected TV, and on the Roku player, Samsung Smart TVs, Apple TV, Amazon Fire and Amazon Channels. SHOUT! FACTORY TV also is available as a branded channel on streaming services Amazon Prime, Pluto TV, Twitch, Xfinity on Demand, Popcornflix, Hulu, Vewd and Xumo. Tsuburaya Productions Co., Ltd. has created dozens of heroes and other characters, including Ultraman, who has been loved from generation to generation. The base for the company was Tsuburaya Visual Effects Research, which was launched by the Japanese “Father of Special Effects” Eiji Tsuburaya. After showing his skill and making a name for himself working on many monster movies and special effects laden fantasy science films, in 1963 Tsuburaya incorporated Tsuburaya Visual Effects Research and established Tsuburaya Productions Co., Ltd. in order to advance further research and development of special effects technologies and release visual works that could be enjoyed by a wider audience. The company has continued to maintain Eiji Tsuburaya’s policies even after his death.